DIY is super trendy for 2016. Just spend about 5 minutes on Pinterest and you will see everything from DIY cabinet refinishing to installing pallet walls. Often, doing it yourself is a great option – you can not only save money, but you can do it exactly the way you want, rather than relying on someone else to bring your vision to fruition. YouTube and Pinterest are both great resources for step-by-step instructions and videos on DIY projects. There are some projects that are however, not well suited for DIY and refinishing a bathtub or countertop is one of them. DIY products are simply not of the same quality or durability of the industrial grade products we use. DIY options have no bond between coatings and the original surface, so peeling is a common problem. DIY kits are rolled on and highly susceptible to streaking. DIY coatings dry quickly but they don’t cure quickly, so the smallest items can cause dents. DIY topcoats are often not waterproof and may result in a cloudy appearance in addition to being “soft” and scratched easily. Safety – refinishing chemicals are strong and require use of a respirator – not just a dust mask, most do-it-yourselfers are not equipped with proper safety equipment, increasing their risk of injury or harm. Do yourself a huge favor and save yourself a massive headache by using a professional when it comes to refinishing. DIY is just not fun when it wastes time and money on something that won’t last or doesn’t work. Miracle Method’s refinishes can last 15 years and longer with proper care – which is why we have the best warranty in the industry. 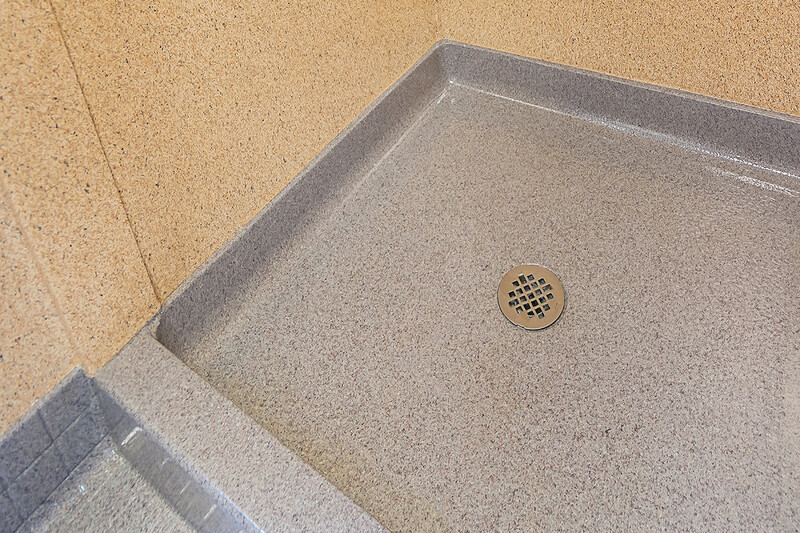 Two- phase cleaning process removes dirt, grease & build-up from original surface. Burn marks, knife cuts, chips and scratches are completely repaired. Miracle Method’s proprietary bonding agent ensures coatings have a molecular bond to the original surface to minimize any chance of peeling. Over 30 Natural Accent® colors to choose from, applied using a high tech spray process to ensure a smooth and even finish. Waterproof acrylic clear coat for a beautiful, high-quality result. Professional masking to protect surrounding fixtures, cabinetry and walls from any overspray or damage! 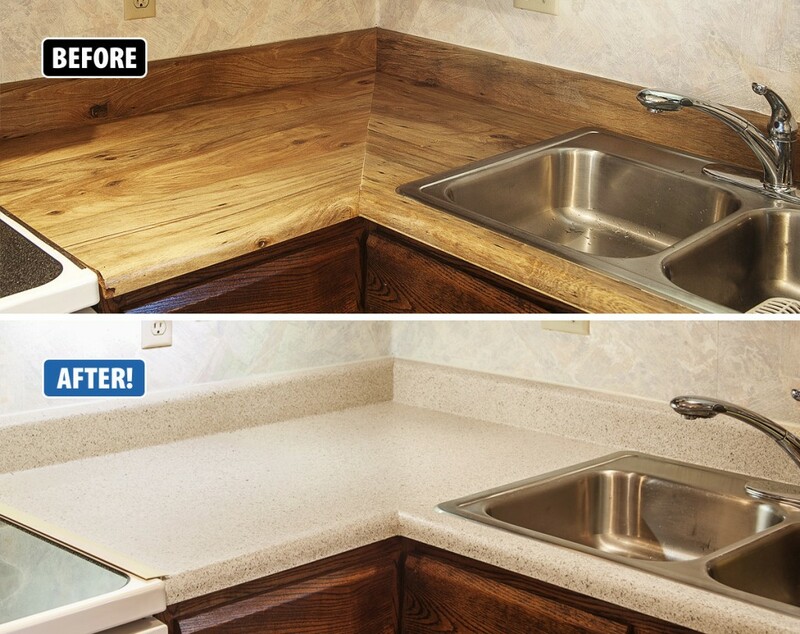 Leave your countertop refinishing projects to the pros at Miracle Method. Find a Miracle Method location near you or call today for a FREE estimate 855-212-7337. It’s mid-November and the holidays are just around the corner. 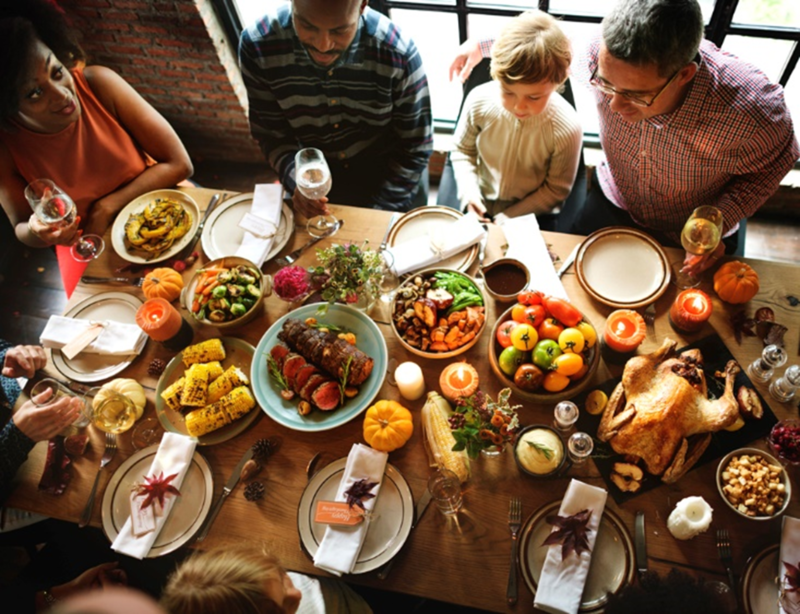 It can be a very stressful time of the year with lots of shopping and cooking and preparing the home for guests, not to mention having the family together. The to-do lists can be overwhelming and it’s easy to overdo it and expect everything to be perfect. 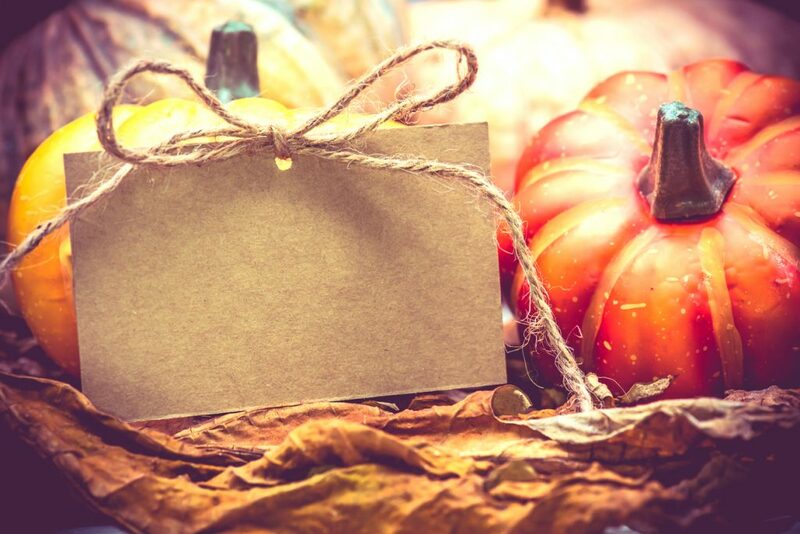 The reality is, even when the holidays are approaching, regular life is still happening. The kids need help with homework. Dinner needs to be prepared. The laundry needs to be done. The dog needs to go to the groomer. The furnace is acting up, and to top it all off, your son dropped the handheld shower nozzle and chipped the side of the tub. Take a deep breath, a chip can easily be repaired. You don’t have to call a contractor to rip out the tub and replace it. Miracle Method can help. 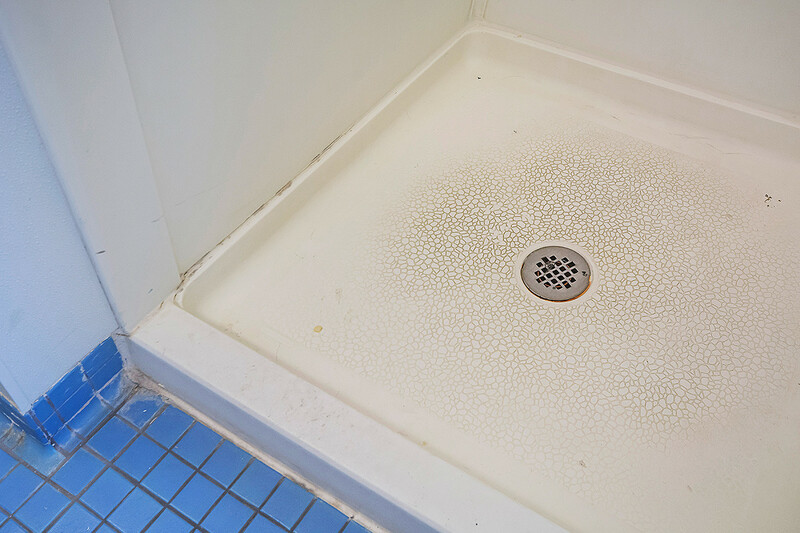 Not only can Miracle Method refinish the entire tub, but we repair chips and cracks all the time. You want your guest bath to look nice for your guests and Miracle Method provides a great alternative to costly and time consuming replacement. So, you’ve got the chip fixed, what are some other things you can do to make your bathroom look and feel great for guests? A deep clean – clean the floor and baseboards and clean around all of the fixtures. Put on some music and get the family involved in helping. Purchase a new bath rug at an online or local discount retailer. There are sales everywhere during the holidays. Don’t pay full price! Place some travel-sized toiletries in a basket such as deodorant, toothpaste, mouthwash, a spare toothbrush, shampoo, conditioner and hand lotion. If your guests have forgotten something in your luggage, no need to worry – you’ve already got it on hand. Wash the shower curtain and liner to freshen them up. Clear out some storage space for guests to store their personal things. Make sure there is extra toilet paper under the sink. If your guests feel comfortable and at home, they will enjoy their stay more and you won’t have to be catering to them as much. Preparing for their stay ahead of time means less running around for you and more time for conversation and fun. 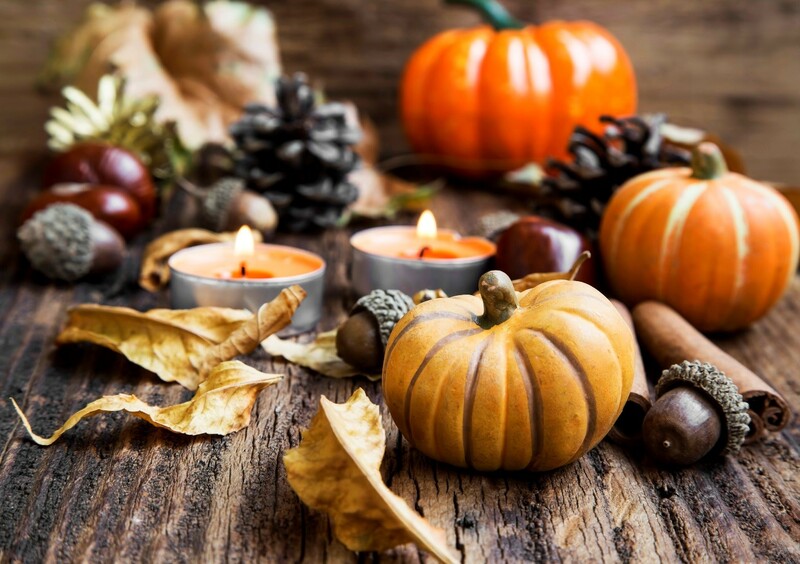 For more information how Miracle Method can help prepare your guest bathrooms for holiday guests, give us a call at 855-212-7337 or visit http://www.miraclemethod.com/find-a-location.php to find a location near you. This beautiful antique bathtub was created by Miracle Method of Cleveland Ohio to pay tribute to and honor all those who are serving and have served this great nation. The armed forces flag tub made its debut January 23rd, 2015 at the 3 day Cleveland Remodeling Show and it was not only a showstopper, but also a crowd favorite. This is wonderful example of the high quality refinishing provided by Miracle Method franchises located though out North America. It’s easy to see why more people prefer to use Miracle Method than any other refinisher and bathtubs are just one part of the long list of services Miracle Method provides. From bathroom safety to updated countertops, the transformations are stunning. Call your local office for a free estimate or visit www.miraclemethod.com today for more information. Colleges and universities campuses across the country are celebrating the holidays with large refinishing projects. 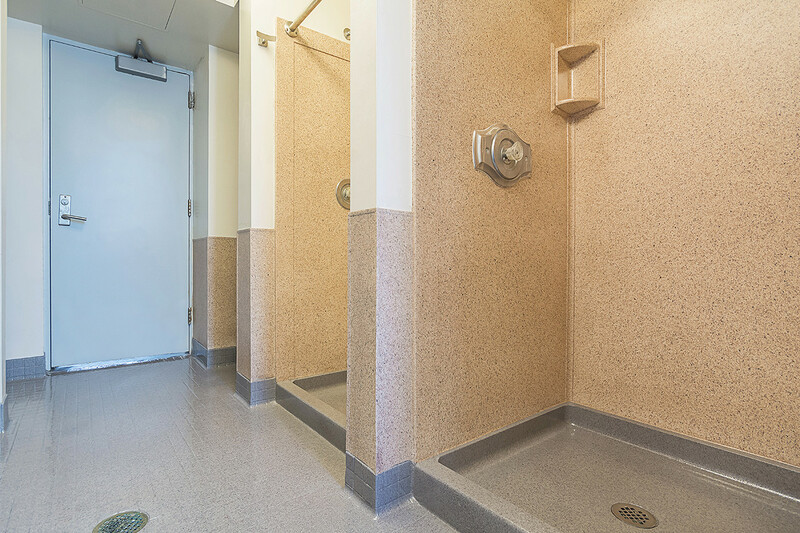 Miracle Method’s refinishing process is a cost-effective way to update restroom tile floors, walls and even partitions and vanities quickly over winter, summer and spring breaks. Students returning to college dorms and campus restrooms are astounded by the results of the modern transformations. 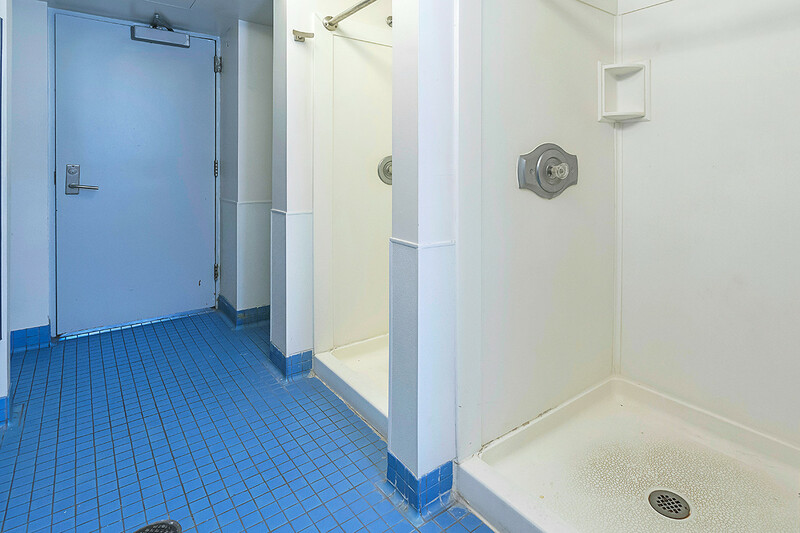 Thanks to Miracle Method, thousands of students will be returning to updated showers, tile floors and vanities in residence halls, locker rooms and academic buildings. 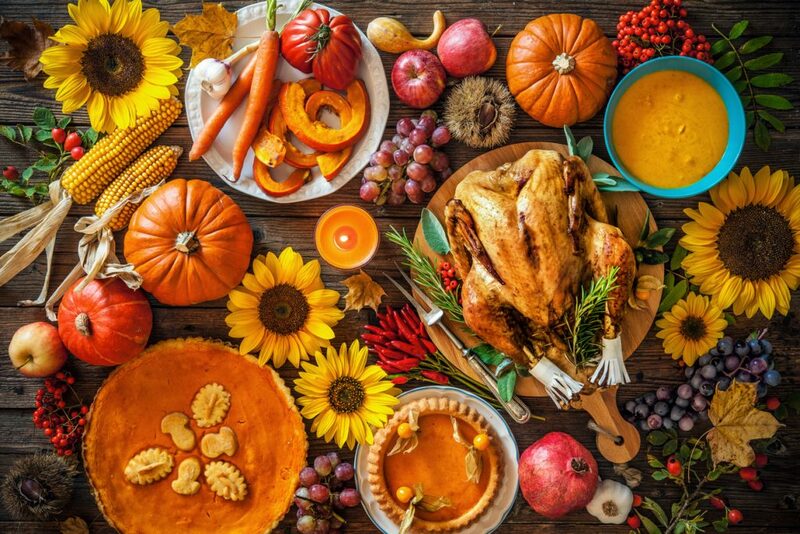 Some of the schools using Miracle Method over the holidays include The University of Alabama, Michigan State University, University of Illinois, New Mexico State, Augustana College, University of Texas, SUNY Fredonia, LSU, Illinois Wesleyan University, Georgia Tech and Wharton County Jr. College. Miracle Method’s goal is to be able to provide colleges and universities from across the United States and Canada with affordable and durable surface refinishing solutions. Facility Manager count on Miracle Method to effectively maintain quality living spaces for their students. 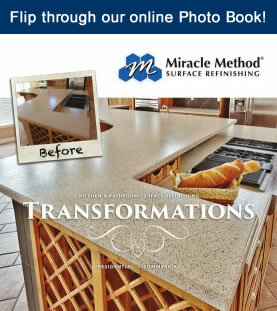 Take a look at some incredible refinishing work from Miracle Method right here!